These days, anyone who wants to buy an Electronic cigar starter kit has plenty of choices available to them. At the time of this review, EPUFFER alone had several options available and the eCigar 900 was the latest addition to their range. 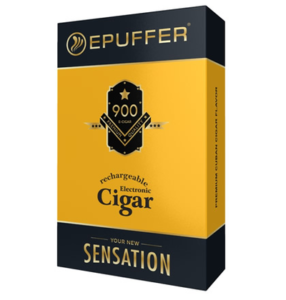 Epuffer describe the eCigar 900 as the “ultimate indulgent smoke”, but that’s not strictly accurate because its a vaporizer, so no smoke is involved. We’re not going to quibble about that though. The eCigar 900 is actually an improved version of their best-selling eCigar 600. 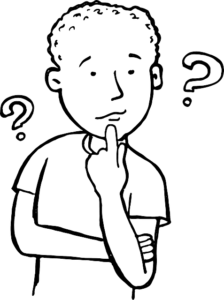 That in itself makes the product especially noteworthy because EPUFFER could have just continued marketing a product that was already very successful, but they chose to forgo resting on their laurels and improve their eCigar instead. The eCigar 900 delivers a very respectable 900 puffs. That 50% more than the eCigar 600, so it’s a vast improvement on a product that nobody was complaining about anyway. It has to be said, the vaporizer does a good job of imitating a cigar. The device is wrapped in a high quality paper that looks and feels just like tobacco leaf and gives it an edge over other vaporizers designed to look like a cigar. The EPUFFER brand is known the world over and the company’s reputation as a supplier of quality vaping merchandise is second to none. The level of after-sales service is also very good. EPUFFER provide their customers with telephone support during office hours (Mon-Fri: 9:00 – 18:00) and it is also possible to open a support ticket, via their website, 24/7. EPUFFER also provides customers with a 30-day money back guarantee and one year’s limited warranty. “I’ve not smoked many Cuban cigars, but to my mind this is every bit as good”. EPUFFER provides free-first class shipping on every order that has a value of £25 or more, and customers based in the UK can expect to receive delivery within two working days. What Does the EPUFFER eCigar 900 Starter Kit Cost and is it Worth the Money? When we were doing the research for our EPUFFER eCigar 900 Starter Kit review it was possible to buy the electronic cigar starter kit for just under £50. That’s not bad at all for an electronic cigar of this quality and all the extras the starter kit contains. EPUFFER says each atomized cartridge is the equivalent of 12-14 premium Cuban cigars. That’s a big claim to make because Cuban cigars are arguably the best in the world and anyone paying £10 a pop has got themselves a bargain. The starter kit contains three cartridges, so that would mean it provides the equivalent amount of smokes vapes as up to 36 quality Cuban cigars. We are not entirely convinced a seasoned Cuban cigar smoker would be unable to tell the difference, but bearing in mind EPUFFER’s attention to detail, and the high-quality look and feel of their e-cigar, there is every possibility the taste will be so similar most people won’t be able to tell the difference. It also has to be remembered EPUFFER back all of their products with a 30-day money back guarantee, so they must be very confident their merchandise will not disappoint. Bearing in mind the high quality of the vaporizer and its realistic texture and feel, along with all the extras in the electronic cigar starter kit, we are quite surprised EPUFFER are not charging a little more. When it comes to electronic cigar starter kits, the eCigar 900 takes some beating. It should be an excellent option for anyone who loves to smoke fine cigars, but thinks the health dangers involved are too high a price to pay and wishes to stop smoking and make a change to a safer alternative instead. The price is very reasonable, customer feedback is excellent, and EPUFFER are offering a 30-day money back guarantee. There may be no need to fumble for matches or a lighter, but this one is still a hot property. Right! That’s it! You’ve reached the end of our EPUFFER eCigar 900 Starter Kit review. We’ve told you everything that we can. If you want to find out more, you’ll have to get it straight from the horse’s mouth and visit the EPUFFER Website.